Growing up in different parts of beautiful British Columbia has been an adventure from the get-go for Sarah. Born in the sunny Okanagan, when Sarah was 8, she and her family relocated to the East Kootenays. She was raised on family camping trips in the mountains and building forts in the yard. As a kid she played organized sports but eventually found a serious love for recreational hobbies such as climbing, biking, hiking, fishing, skiing and photography. 5 years ago, Sarah was facing the Google logo. She began typing “some place on the B.C coast with mountains” and…Squamish popped up! A wonderful place of land, ocean and rock. Paradise! 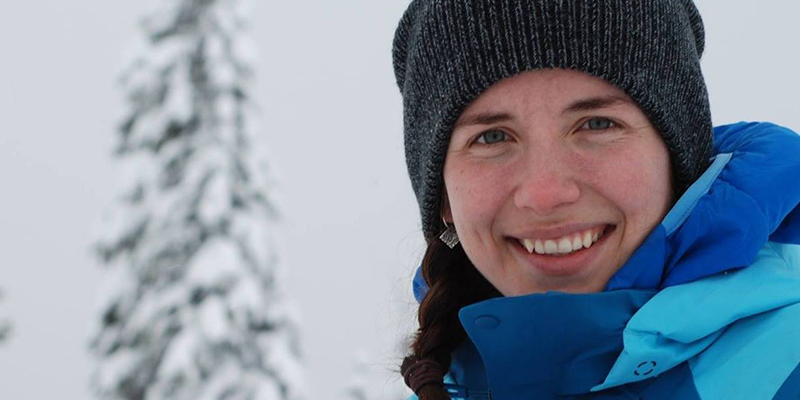 Today, Sarah works as a Park Ranger, preserving the beautiful BC landscapes. She volunteers her free time with Squamish Search and Rescue and works online as an advocate for companies like GoPro, Redbull, Mountain Hardwear, and Meier Skis. Living the life she created, she explores with her trusty dog, Doc and enjoys simply living in the moment.